Hornz-(Jim Hedgecock-2018)-Sdlg. #Q-110-A-Reblooming Tall Medium and Rebloom Seasons-Ruffled standards white with heavily peppered sanding of blue purple. Heavier at edges. 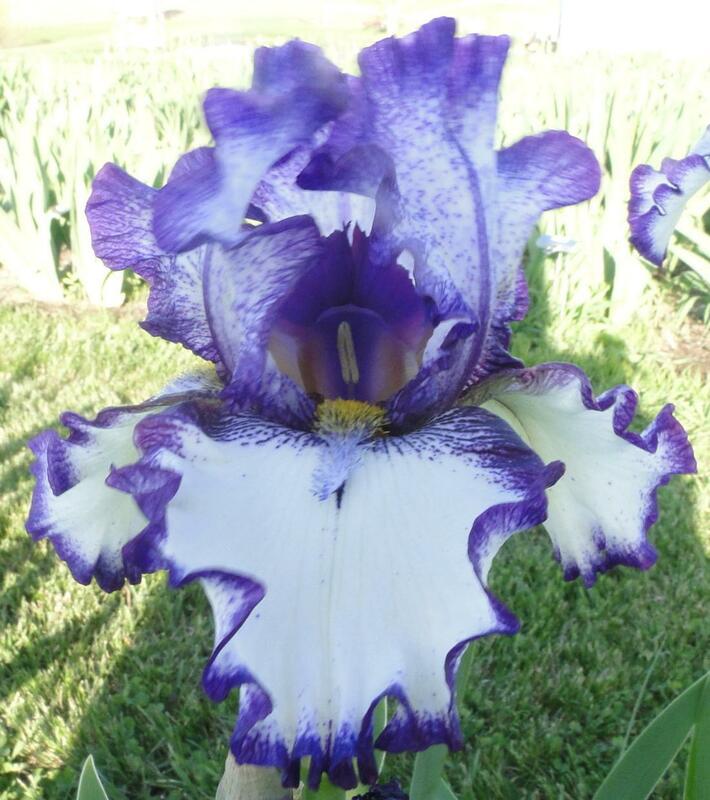 Ruffled and fluted falls clean white with ½ inch borders of blue purple. Beards blue base with yellow tips. Ending in ½ inch upturned white horns with blue tips. Superb, horned iris that is a strong fall rebloomer in Zone 5. Eliminator X Decker.